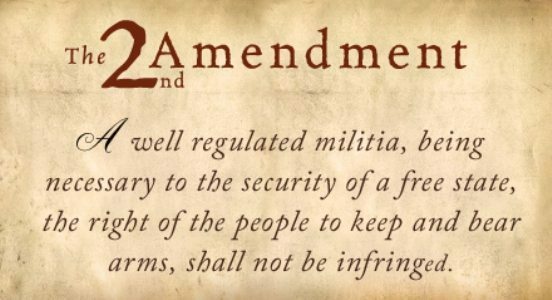 It seems that Missouri lawmakers are so ticked off with the current political garbage aimed at the Second Amendment that now the Missouri Senate Republicans have voted to nullify all Federal Gun Laws – past, present or future if they violate citizens’ gun rights. The House passed a similar bill previously, but now since the Senate changed a few things, it goes back to the House. If it passes there, it goes to Republican Governor Mike Parson. The Bill passed the Senate with the “minimum” votes required to survive a veto. But isn’t that what California has done with their “sanctuary” law? They’ve nullified Federal immigration laws and Federal enforcement of them. If Democrats can do it, why can’t Republicans do it? (This article has been corrected to reflect the name of Missouri’s new Republican Governor, Mike Parson). This bill has a decent chance of passage even above a Governor’s veto, but may not stand a court test. Other parts of it also contains verbiage allowing school staff members to carry concealed weapons inside the school after training. They can also carry pepper spray rather than a firearm if they so choose.